Persona: Influenced by Twin Peaks? I finally finished watching Twin Peaks recently and something’s been on my mind ever since the final episode. It didn’t really occur to me how familiar the Black Lodge’s decor felt until I probed my memory banks and then, EUREKA! The Persona series! Both locations feature a striking design consisting of velvet drapes with a contrasting patterned floor. However, the similarities run a bit deeper than just the decor. Both rooms are occupied by peculiar hosts (Igor and the dwarf) and their beautiful assistants (Margaret and Laura Palmer). After doing some research, it appears that ATLUS has confirmed this theory. The jazzy “cocktail-lounge” theme is one of the things I found to be initially jarring because of how it didn’t quite fit with the haunting, somber tones of the rest of the soundtrack. The theme can immediately change the mood of the setting, regardless of the juxtapositioning of the scenes. I feel the same way regarding Shoji Meguro’s score in P3 and P4. He derives a lot of influence from jazz to create his fusion J-pop soundtrack specifically for the series. Just like Badalamenti’s theme, some of Meguro’s tracks sound totally out of place in the grand scheme of things, but they work and provide tonal diversity. It makes you wonder if Badalementi’s score influenced Meguro’s choice of the fusion J-pop soundscape for the series. After realizing these similarities, I wondered if the internet had any other hypotheses or evidence to support my claim. I stumbled upon Katers Gonna Kate’s tumblr and found some interesting comparisons between P4 and Twin Peaks that I hadn’t thought of yet. - he has dreams/visions about a room with a strange-looking man full of cryptic words and a mysterious beautiful blonde woman who gives him nuggets of information. 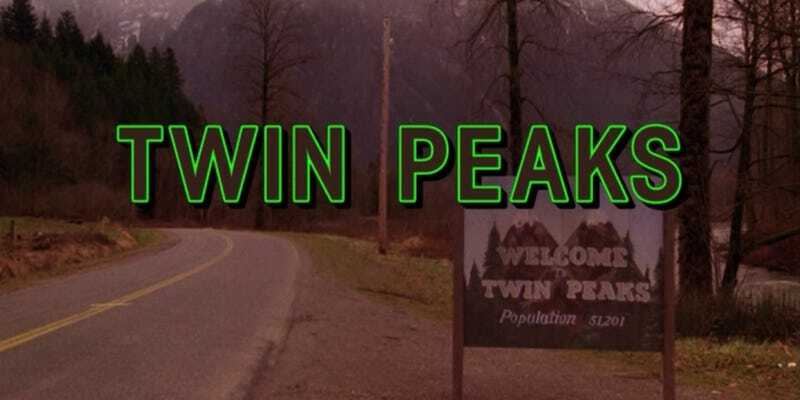 Those are some pretty heavy influences, though Twin Peaks’ impact on pop culture has been quite visible through the 25 years since its creation. However, all these similarities do make me wish for a confirmation from ATLUS regarding the extent of its influences (if only just to put my mind at rest). What do you guys think? Coincidence? Or a deliberate homage?